TAFFY is a delicious and chewy candy. Introduced on the boardwalks of Atlantic City, New Jersey early in the 20th Century it became an all American favorite. 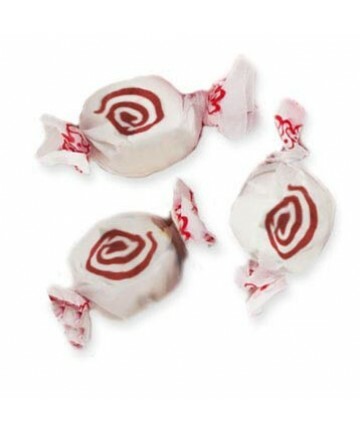 Nowadays it comes from Taffy Town in all the classic flavors and colors. Over the years several new flavors and designs have been developed which will put a smile on your face. For over 79 years Taffy Town has produced the finest in Gourmet Taffy. Taffy Town uses a whipped process that produces a soft textured taffy that simply melts in your mouth, we then add the finest in domestic and imported flavors to obtain perfection in confection. Try some today! Our Factory is Completely Peanut, Tree Nut, and Gluten FREE! Also, all our products are certified Kosher Dairy (Scroll K).